favorite chili, soup or casseroles. 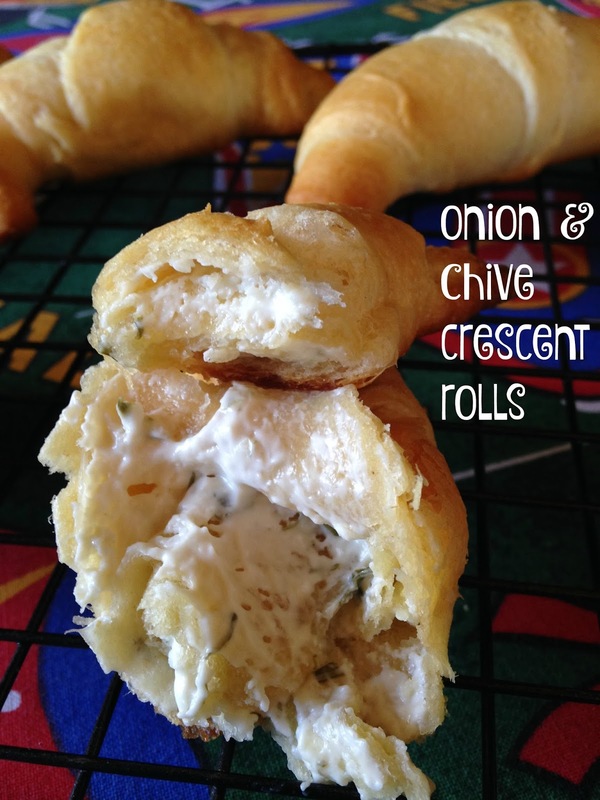 Onion and Chive Crescent Roll are simply delicious. If you’re looking for an easy appetizer or you just want something different and delicious to serve with a meal, than this recipe is what you’re looking for. All you will need to make this beyond easy recipe, is only two ingredients. One tube (8 oz) of crescent rolls and one (8 oz) container onion and chive cream cheese spread. That’s it! 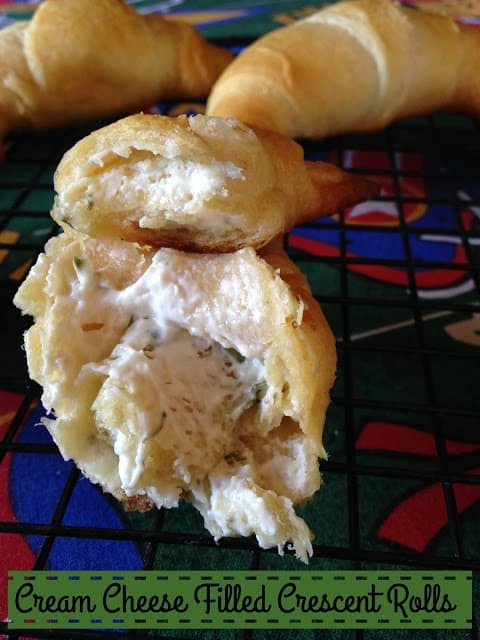 Unroll the tube of crescent rolls, spread with onion and chive cream cheese spread, roll back up and bake. Serve with chili, stew, soup, or eat plain. You can purchase onion and chive cream cheese spread (Philadelphia) or make your own by simply adding chopped green onions and chopped fresh chives to softened cream cheese. We like to use an onion and chive cream cheese spread from Ron’s Cheese. Don’t like onion and chive cheese spread? No problem..use any “flavor” you like. If you want to go on the sweet side, substitute pineapple cream cheese, strawberry cream cheese and so on. 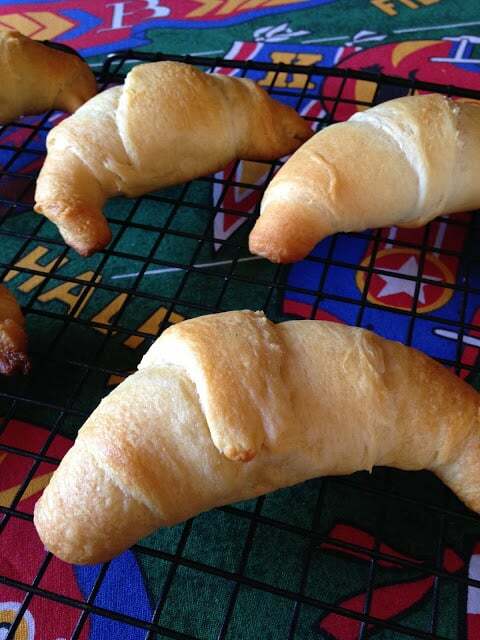 Unroll crescent rolls, separate at perforated edges. 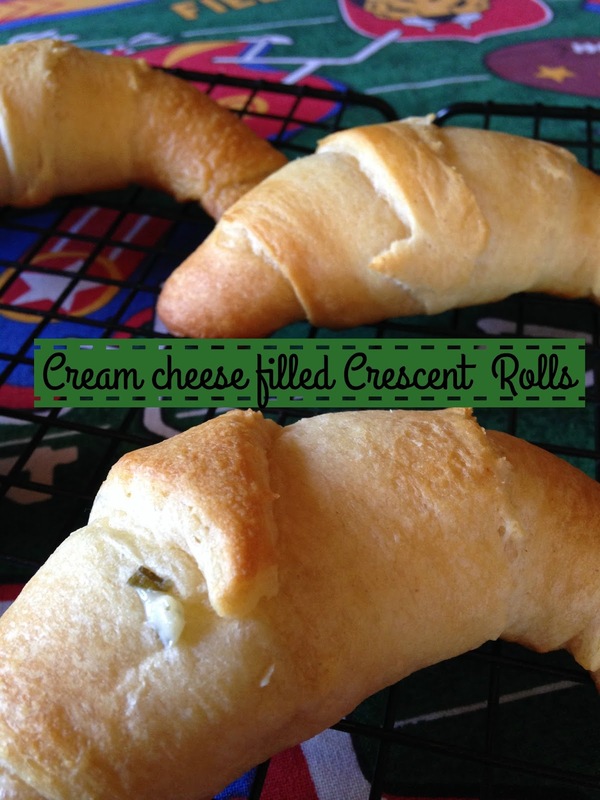 Spread crescent rolls with cream cheese spread. Place on ungreased baking sheet. Bake at 375º for 9 to 12 minutes.